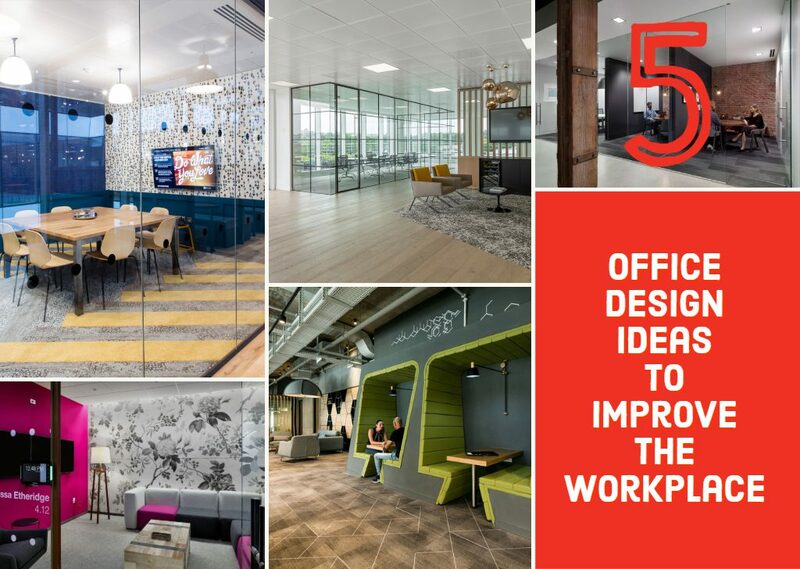 As the workplace continues to evolve, office designers are increasingly tasked with creating spaces which not only meets staff needs but that in many cases, exceeds them, and nowhere epitomizes this more than co-working environments. While co-working spaces have existed for many years, it is relatively recently that they have become a part of the mainstream with more and more providers entering the market to meet the needs of an increasingly fluid workforce. The rising popularity of flexible, co-working spaces has certainly been one of the major shifts away from traditional workplaces over the past decade, with many arguing that their creative design and layouts have aided this rise. There is little doubt that design plays a substantial role for many of the new breed of co-working providers with occupants varied needs playing a central role and influencing the overall layout and aesthetic, creating spaces where people want to work – a destination workplace of sorts. Consequently, the workplace experience has come to the fore with journeys mapped from entrance to desk to departure – everything from the layout, furniture selected and coffee on offer forms part of this experience. However it appears that the fundamental remains the same – people want to be able to work in an environment that allows them to be as productive as possible. Our recent workplace report ‘Meeting Expectations’ which surveyed >1000 UK office workers found that over 20% of UK workers feel that they would be more productive in a better designed workplace. Furthermore, it has highlighted the fact that staff view access to natural light and also a variety of spaces to where they can choose to work from as absolute essentials in the modern office – the fundamentals like we mentioned are critically important. 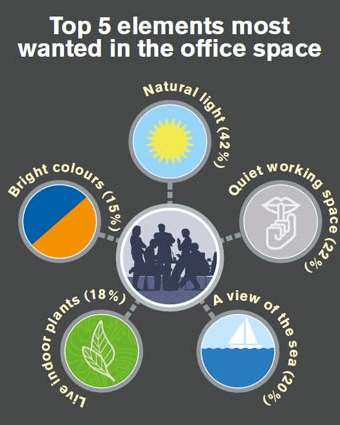 This supports a past report by Human Spaces which found that natural light (42%) and quiet work spaces (22%) were the top elements most desired in any office. However we know that not all offices benefit from an abundance of natural light or have the required room to provide an array of different work areas but that doesn’t mean that they shouldn’t spend time trying to create a workplace that truly works for their organization and staff. Companies can work with creative office designers to ensure staff are positioned in whatever space gets the best natural light while also using smart LED lighting solutions to complement natural light. They can also introduce plantlife to reflect nature and the outdoors (another huge plus) or look to utilize otherwise dead space to create private one or two person booths for calls or concentrated work – the possibilities really are endless with perquisite being a desire to optimize the space, wherever it may be. It will be interesting to see how the next 5-10 years impact the design of co-working space and workplaces in general as workers aspire to working in spaces that allow them to be productive and happy at the same time. Unquestionably, companies and many co-working providers will have to significantly up their game when it came to office design, with those pioneers who did so earliest reaping the rewards at present.